Dr. Strand is a Board Certified Plastic Surgeon with an M.D. from George Washington School of Medicine in Washington, D.C. and a Bachelor of Science from the University of Wisconsin in Eau Claire, WI. He completed a Rotating Surgical Internship as well as a Residency in General Surgery at the National Naval Medical Center in Bethesda, MD. Following this, Dr. Strand completed a residency in Plastic Surgery at Eastern Virginia Graduate School of Medicine in Norfolk, VA. In addition, he received training in hand surgery at the Thomas Jefferson School of Medicine in Philadelphia, PA.
Dr. Strand has been working in the plastic surgery field for nearly 30 years, including as a plastic surgeon in the Navy at Portsmouth Naval Hospital in Virginia where he achieved the rank of Commander. 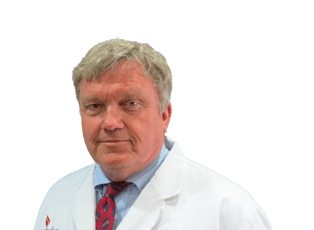 In his work, Dr. Strand strives to take the time and care to meet his patients’ needs and to produce the highest level of results. He listens to his patients’ requests and takes care to meet their desires in a safe and comfortable environment. In his spare time, Dr. Strand enjoys gardening, biking, and walking. He also participates in charitable endeavors, and his favorite organization is the Second Harvest Food Bank in New Orleans, LA.